In the late 1950s Moriyama embarked on the study of photography and discovered the work of William Klein and Shomei Tomatsu. In the early 1960s he became an assistant to Eikoh Hosoe and worked with him on the production of Hosoe's series with novelist Yukio Mishima: 'Ordeal by roses'. By the mid 1960s Moriyama was publishing his photographs regularly and his dark, grainy snapshot signature style began to mature. 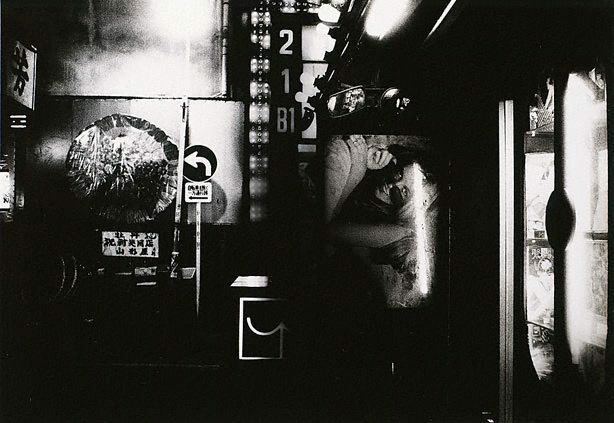 In 1968 Moriyama's first major series, 'Japan: a photo theatre' with text by theatre radical Shuji Terayama, was published and in 1974 he was included in the groundbreaking 'New Japanese photography' exhibition at the Museum of Modern Art, New York. In more recent years his work has been the subject of monographic exhibitions such as Stray dog, San Francisco Museum of Modern Art, 1999-2001, and 'Daido Moriyama', Fondation Cartier, Paris 2003. The important postwar generation (of which Moriyama is a part) for whom the documentation and interpretation of a rapidly changing society was crucial to their work, exhibited all the existentialist angst of an era which was not confined to Japan alone. However, the flavour of the work of photographers such as Moriyama, writers such as Mishima and experimental performers Terayama and Hijikata, has a specific darkness, anger and poetry which was designed to provoke and to question events in the Japan in which they lived. The political spectrum of these artists was wide, with Moriyama somewhere in the middle, always more interested in the medium of photography itself, and its reflection of what he saw and experienced, rather than using it to attempt change. 'Tokyo' and 'New Japan's scenic trio 2: Ueno terminal station' 1982 (AGNSW collection) are examples of Moriyama's major motifs - specifically the remarkable nature of the street, its darkness and light and the plethora of information which the most ordinary environment can reveal. Whether inhabited or not, the street is active and intense. Martyn Jolly, Photography: Art Gallery of New South Wales Collection , 'International photo-documentary', pg.151-167, Sydney, 2007, 166 (illus. ).